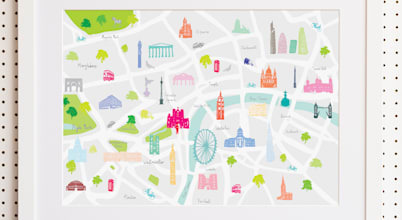 Holly Francesca creates unique and colourful illustrations based on the most iconic places and attractions within London, the UK and the World. 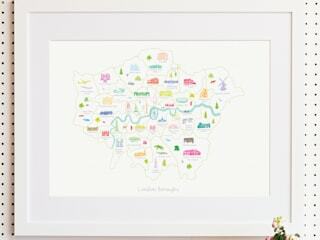 Her drawings then go on to form art prints, greeting cards, tea towels, tote bags, phone cases and umbrellas. 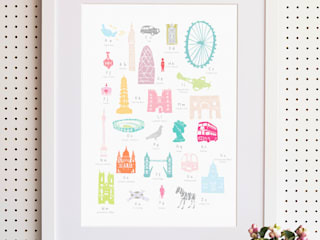 Holly has many designs with many more to come, including a large US range and more cities in the UK and Europe. Personalisations are always a most popular thing to do, the most common is adding your house to an existing map, as well as other things people like to including schools, churches, sports clubs, favourite cafés and much more. If you have an idea for something completely unique, please contact us.